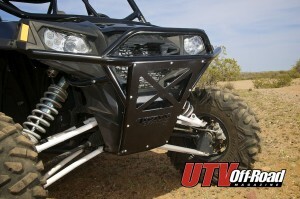 At the start of 2012, Polaris unveiled to the world the all-new RZR XP4 900 that would add a 115cc boost of power over the RZR4. They also upped the wheel travel to 13.5 inches, up from 12 inches in the front. 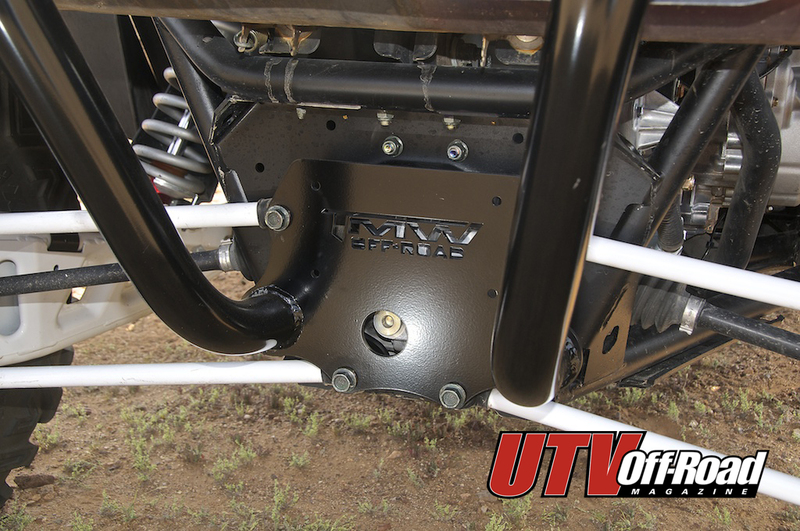 The rear received the two-seat XP 3-link trailing arm suspension with 14” of travel and added a 2.5” Walker Evans Shock body. Out of the box it is a great machine, and we have had no complaints or issues with ours so far. In stock form it looks good and performs even better, but there is always room for improvement. 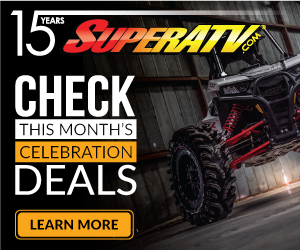 With so many great aftermarket products available, it’s hard not to mix things up a bit and create our ultimate version of a trick and capable trail monster. ABOVE: You may remember our stock unit from our April/May 2012 issue that we first drove in Parker, AZ. From there, we loaded it up and drove straight to Glamis for some testing in the sand before bringing it home. Since then we have put some serious miles on it, and we enjoyed each and every mile. 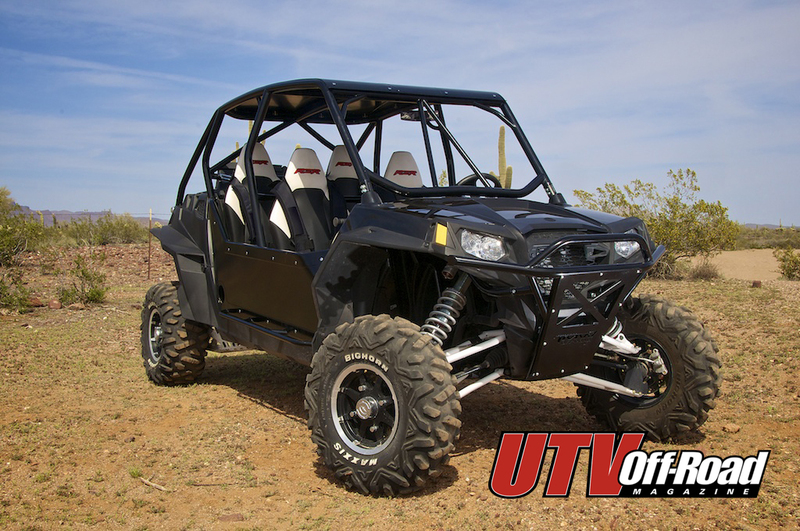 In between our trail rides, we have been making a few upgrades that we think have already transformed our XP4 into a ride that has some attitude. At the time we picked up our unit in February, the only two color options were Indy Red and Liquid Silver. The Liquid Silver is only an option on the LE model. While they are cool, we have our own ideas of what cool is, so we wanted to change the color to set our unit apart from the others. We wanted an all-black unit to start as a base color. Later we will apply graphics to add some color. 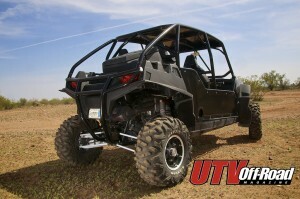 We ordered a set of black plastics from Pure Polaris — we know it looks a little plain right now — to set the color tone. Installation is relatively easy, but the cage would have to come off. This would be a perfect time to update the cage to give it some better occupant protection and a sportier look. 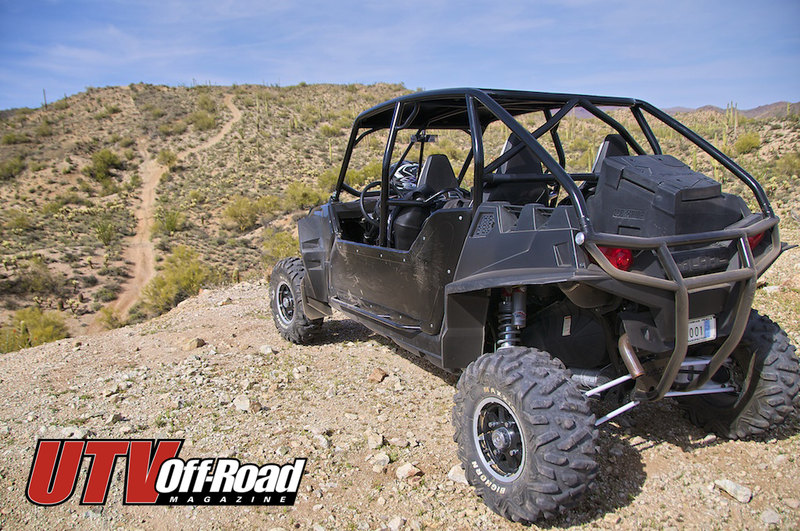 After looking at all the available cages at the time of the RZR XP4’s release, there was only one company that offered a cage for this unit. That company would be TMW Offroad. They actually had a cage design ready to go before the XP4 was released. How, you ask? They were the first company to take a standard XP and stretch to an XP4 length. When they received their first unit, the cage actually fit perfectly. That’s how good they are. We dropped off our unit and black plastics at TMW’s shop in Mesa, AZ to get the full treatment on our ride. TMW’s radius XP4 cage is built out of 1.75-inch diameter, .095 wall steel tubing. It also lowers the overall height of the XP4 by 9 inches. This feature alone was important to us since our main hauler has an opening of 72” high. From the factory, the XP4 is 77” in height. In addition to the cage, a set of their side panels (solid mounted half doors) were added in place of factory side nets. This helps finish off the look and keeps our legs in and trail debris out of the cab. Providing a mean off-road look, we added TMW’s Prerunner LED bumper that we will mount lights to in future stages of this project. Their bumper is not just for looks, either; it mounts to the bottom and to the frame’s cross support, just above the front shocks. 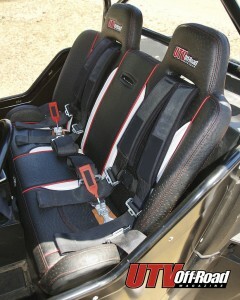 With our stock cage in the scrap metal bin, our factory seatbelts would have to go, as well. We stopped by to visit the guys at UTV Inc. and picked up their 3” H style 4 –point padded harness with sewn-together sternum strap. 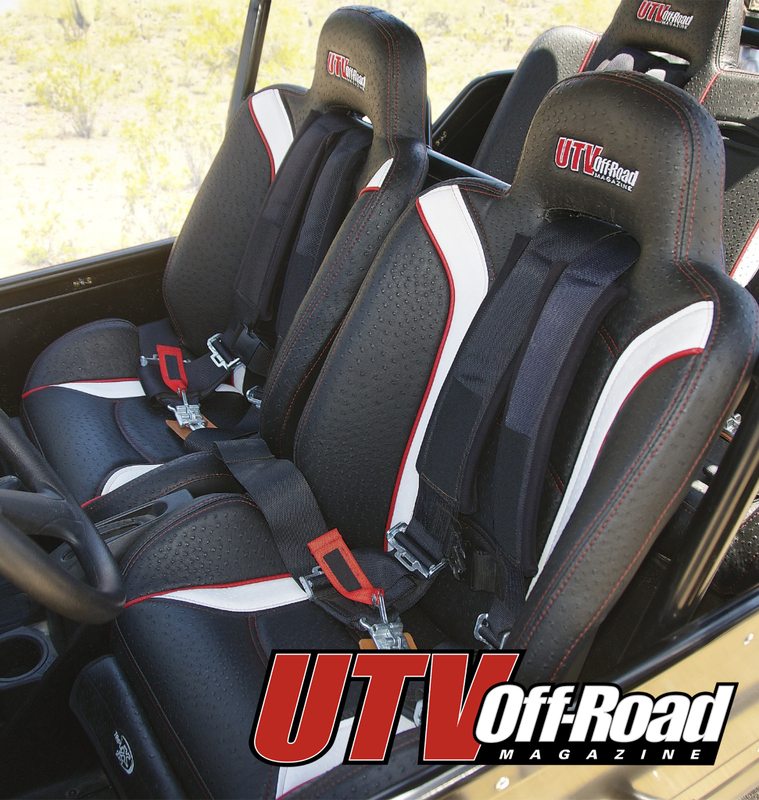 This style of harness will make it easier to buckle up for passenger novices while retaining a higher level of safety over the factory 3-point setup. When it comes to comfort, we went with Triple X Industries in Phoenix, AZ. 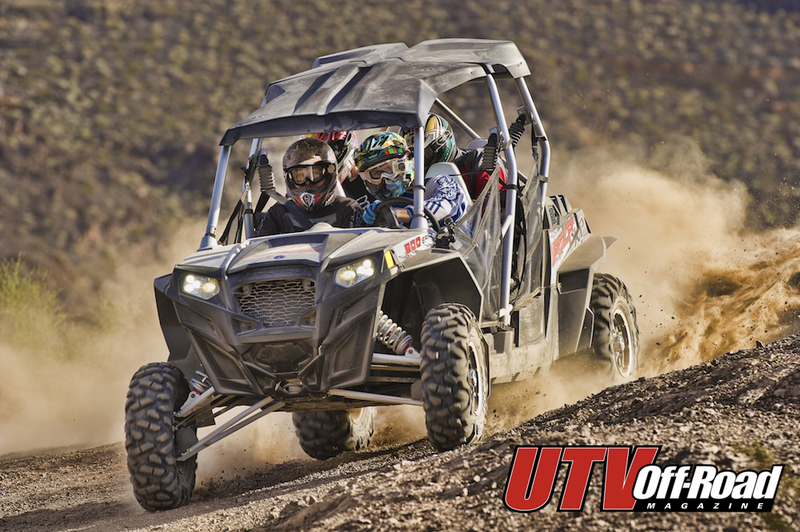 One of the few overlooked items of your UTV is undoubtedly a seat. Outside of the overall upgraded visual aesthetics that they provide, one of the main reasons is comfort. Just before this issue went to press, we picked up our set of Triple X’s black ostrich X3 seats for the front and a bench seat for the rear, complete with red piping and white ostrich accent panels to match our future color scheme. We also had them embroider our UTV Off-Road Magazine logo in the headrest for a trick personalized look. In the front of the driver and passenger seats they added a small pocket for some extra storage. 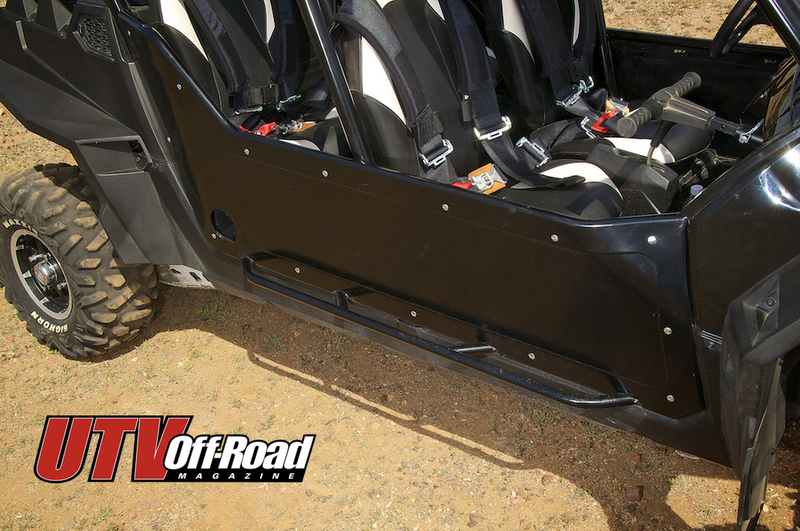 On the trail, the Triple X seats offered improved comfort through hard-hitting sections, better containment when railing through tight, twisty corners on the trail, and instantly upgraded the look of our ride. ABOVE: In addition to our cage, we went with, for lack of a better term, half doors on the side of our XP4. These low profile side panels with built-in steps make it easy to get in and out of, and best of all, they don’t rattle. ABOVE LEFT: TMW’s prerunner bumper is as tough as it looks, complete with light tabs. For this bumper to work, you may have noticed that the extra front side plastic panels that come stock have been removed to allow the braces to extend from the bumper to the frame. ABOVE: The TMW Radius cage integrates the rear bumper into its design and ties into an integrated rear control arm gusset plate, replacing the factory one. 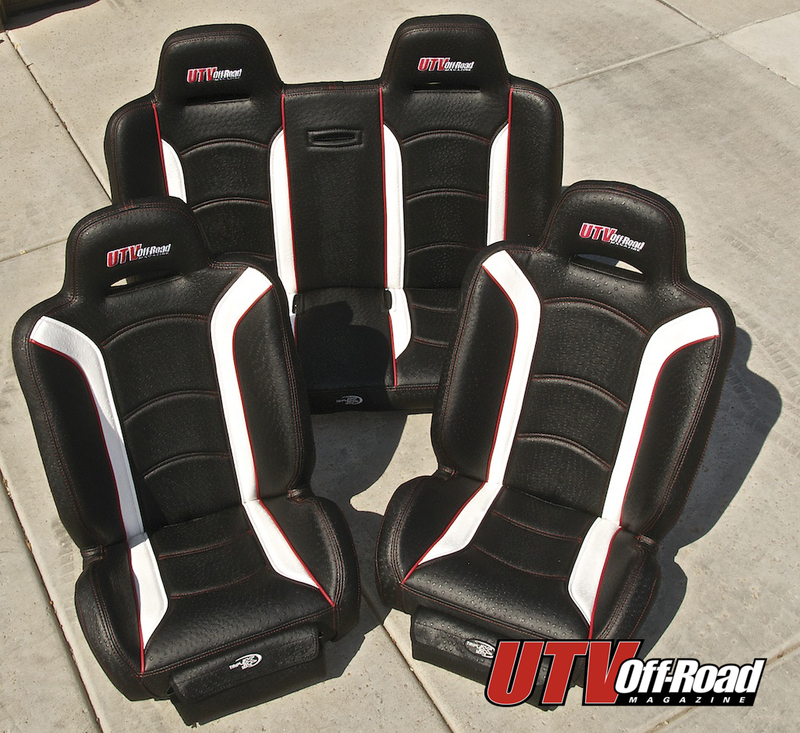 ABOVE/LEFT: The addition of the Triple X Industries seats dramatically changed the look of our murdered out XP4. Not only do they upgrade the overall look of our ride; they are comfortable, as well. We are looking forward to some long distance rides.